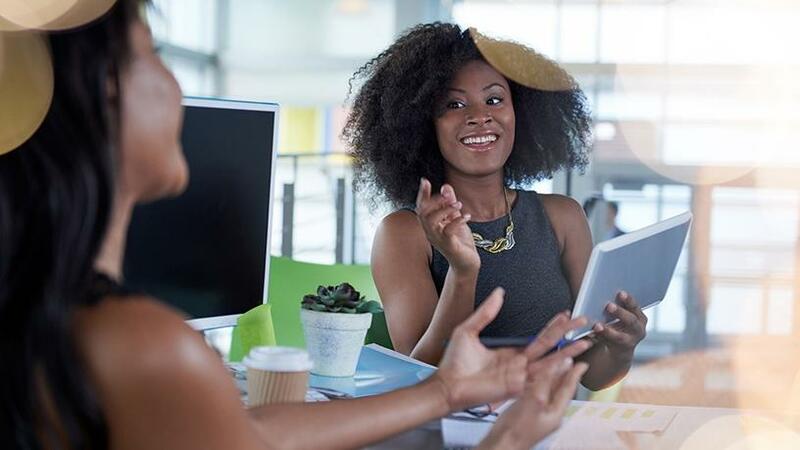 The Cape Innovation and Technology Initiative and the City of Cape Town will be running a free 10-week Top Tech Tools for Women in Business course. Right on the back of International Women's Day last week, the Cape Innovation and Technology Initiative (CiTi) in partnership with the City of Cape Town will be hosting a free 10-week Top Tech Tools for Women in Business course next month aimed at helping women entrepreneurs grow their businesses using tech. The City of Cape Town will be sponsoring the course. According to the two organisations, the course aims to help women develop tech strategies, as well as gain useful insight into using digital tools that improve business practices. The course, which will be facilitated by female business leaders, will also present participants with networking opportunities to interact with other women entrepreneurs. "It will cover topics such as developing a tech strategy, project management, financial strategy, trends and IT tools, and digital marketing, and is looking for founders running businesses at least one-year-old that want to implement a tech strategy or use existing tech more effectively. In addition, candidates will benefit from mentorship with subject-matter experts, as well as networking with peers," they explained. CiTi, formerly known as the Cape IT Initiative, was founded as a non-profit organisation in 1998 by a broad group of industry stakeholders and inspired citizens. The initiative wants to refocus Cape Town and the region as a global technology cluster and a hub for innovation that is a significant contributor to economic growth. It also runs various other entrepreneurial programmes which include CiTi Circles, a confidential problem-solving forum for entrepreneurs, and TenaCiTi, a platform where tech SMEs can secure the best junior staff members for their operations. There has been an increasing global call for the ICT sector to be more inclusive of women, as well a need for a the sector to put in a greater effort to upskill women with tech skills. Facts released by Gartner last week indicate that although women make up nearly half of the global workforce, they represent only 31% of IT employees, and that number drops to 22% at the leadership level. "The lack of diversity in technology is glaring: according to the 2018 Gartner CIO Survey, 13% of CIOs are female. The proportion has remained much the same for years. However, we expect the proportion of female chief data officers to increase to 33% by 2021 - up from 18% today. This makes the chief data officers' role more diverse than the CIO role. In business continuity management, 89% of executives in IT disaster recovery and 80% of executives in business continuity management programme-related roles are male. Thirty percent of executives in crisis management are female," the research firm noted. Another report - Getting to Equal 2018 - from Accenture, details the most-effective actions that business leaders can take to accelerate advancement and help close the gender pay gap. The research, which is based on a survey of more than 22 000 working men and women in 34 countries - including 723 in South Africa - found that for every 100 male managers, there should be as many as 87 female managers, up from the current ratio of 100 to 46. Furthermore women's pay could increase 122%, or up to an additional $17 560 per year and they could earn $87 for every $100 a man earns, helping to close the pay gap and lifting women's total earnings by $11.4 billion nationwide. Setting clear diversity targets, the research found, is a crucial step for leaders who want to strengthen their cultures, says Ntombi Mhangwani, head of women's forum and director for integrated marketing and communications at Accenture in Africa. "Our research shows that in companies with cultures that include the workplace factors that help women advance, men thrive too, and we all rise together. We see this research as a powerful reminder that building a culture of equality is essential to achieving gender equality because people, not programmes, are what make a company inclusive and diverse," she noted. The Top Tech Tools for Women in Business course launches on 4 April at the Bandwidth Barn in Woodstock. Applicants must also be based in the Western Cape and must have at least one staff member employed by their business. Interested entrepreneurs can apply for the course here.